Unfortunately even flashing my ring doesn't work for me since I started venturing out, do you have any suggestions how I can keep the men away? Some say wearing minis, high heels and skimpy clothing is asking for trouble but I should be free to wear what I want shouldn't I? This is the woman I feel I am and dont want to look like im a librarian. Hi Stana, I hadn't come across the phrase 'femme lesbian transwoman' before but it pretty well describes me! I broadly agree that it may take time for the world to get it's collective head around what it means, but that makes it difficult if you happen to be a 50+ single femme lesbian transwoman who would prefer not to be single and feels time is running out!!! Does anyone have any suggestions about how a femme lesbian transwoman might meet an accepting partner that does not require a life-time of searching? 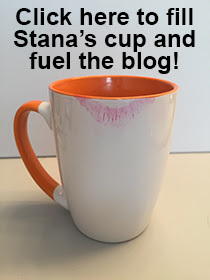 Stana, what a great thought provoking post! I'm not smart enough to have an answer. In my own experience, I have had much more success being accepted by the more "butch" segment of the lesbian population. I used the "accepted" word as in gender. In fact when I "hang out" with them I'm accepted by men around us as a "femme" lesbian. I am widowed, but being single I hate the aggressive sexual advances by guys and really don't know how to "read" a lesbian's yet. Thanks again for the wonderful thought provoking post!!!! Maybe it's because I'm a bimbo.... but I completely like don't understand???? If you have a wife, and are faithful to her, then why do you care what other people wonder about your gender when you're enfemme? I mean, so what. If men hit on you, you just say "No thanks" and move on - that's what real women have to do all day long. The benefits of gender fluid work better for us, but can be confusing for others. WE know our wants and desires, but what we put out in vibe may be a hard read to others. The first comment about wearing mini skirts, needs to understand that women do that to attract attention (always got mine) as the beautiful bird in nature does. So I guess you have to take the package as a whole. Fresh baked bread stirs the appetite the same way. Its a problem women have had forever, its just turned around when we wear the skirt.